Zoe Ball is the new host of the BBC Radio 2 Breakfast Show, the UK’s most listened to radio programme, from January 2019. The appointment follows Chris Evans’ announcement last month that he is leaving the Radio 2 Breakfast Show in December, after eight years hosting the Radio 2 Breakfast Show and 13 years on the station. Zoe says: "I'm absolutely thrilled to be following in the giant footsteps of Chris Evans as the host of the Radio 2 Breakfast Show. To be the first woman to present this very special show is both an honour and privilege. Believe me, I'm not underestimating the enormity of the task ahead, to follow not one but two of my broadcasting idols, into such a well-loved show is somewhat daunting but I hope, in the same way that Chris made this show his own after taking over from the wonderful Sir Terry Wogan, that with a top team alongside me, I can bring the fabulous Radio 2 audience a show they want to wake up to." Zoe first joined BBC Radio in October 1997 as the co-host the Radio 1 Breakfast Show with co-presenter Kevin Greening. From October 1998 to March 2000, Zoe hosted the programme solo, the first female to do so. 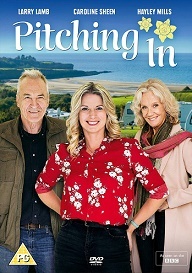 Zoe has been a regular voice on Radio 2 since 2006, presenting various documentaries and providing holiday cover for Chris Evans, Ken Bruce and Dermot O Leary. From June 2009 to January 2012, Zoe presented the Saturday early morning breakfast show, returning permanently to Radio 2 in March 2017 as the host of the Saturday afternoon show (3-6pm). Zoe is the third presenter to host the Radio 2 Breakfast Show in recent years. Chris Evans took over from Sir Terry Wogan as the presenter of the Radio 2 Breakfast Show in January 2010. Sir Terry first began presenting the R2 Breakfast Show from 1972 (at the age of 34) - December 1984, after which he left to concentrate on TV work. He returned to the R2 Breakfast Show in 1992 and continued until December 2009, when he moved to a Sunday morning show, Weekend Wogan. 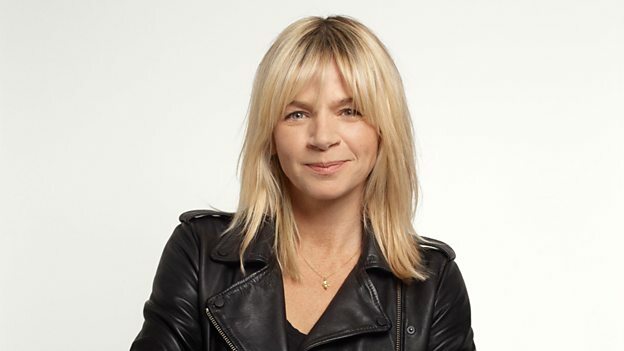 As well as presenting her Monday - Thursday evening show and fronting various network initiatives, Sara Cox will continue to cover the Radio 2 Breakfast Show for 10 weeks each year, whilst Zoe is away. The host of the new Saturday afternoon show (3-6pm) will be announced in due course. The Radio 2 Breakfast Show (6.30-9.30am) has a weekly audience of 9.04m (RAJAR - Q2 2018). Radio 2 currently has a weekly audience of 14.94m.